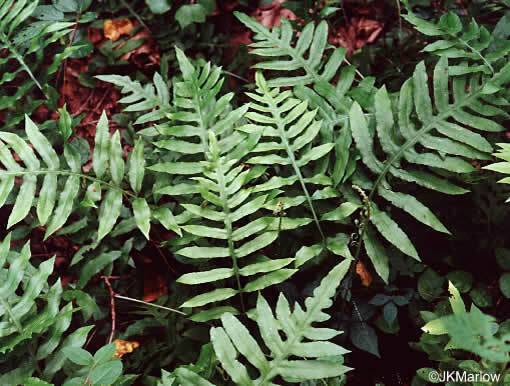 Your search found 9 image(s) of fronds of Netted Chain Fern and Sensitive Fern. 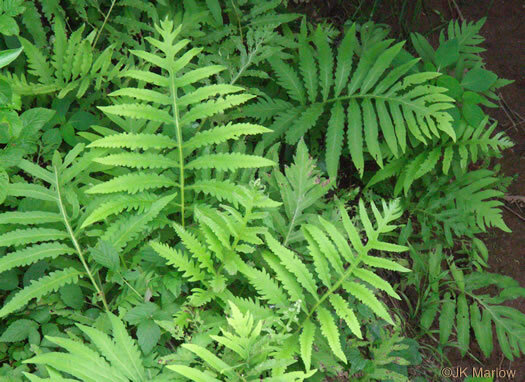 Pinnae have undulate to shallowly lobed margins, per Ferns of the Smokies. 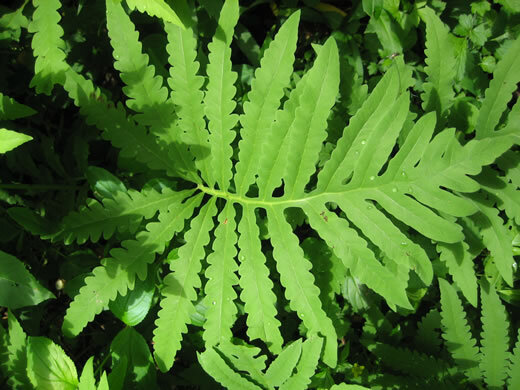 Pinnae tend to be opposite (those of Woodwardia areolata tend to be alternate), per Weakley's Flora. 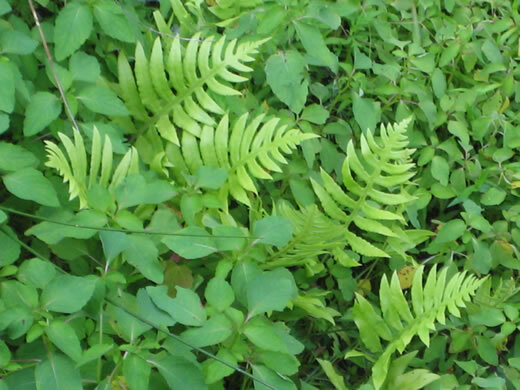 "Sensitive" to cold (not to touch) and withering at the first touch of frost, per Weakley's Flora. 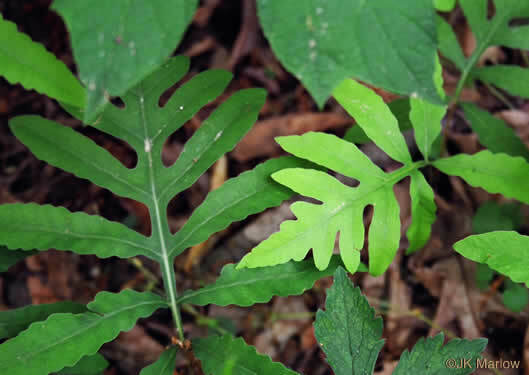 The rachis is winged, joining the opposite pinnae to each other , per Ferns of the Smokies. 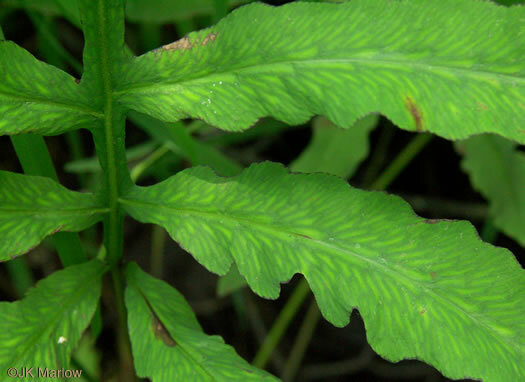 Pinnae tend to be acute or acuminate (vs. Onoclea's obtuse), per Weakley's Flora. 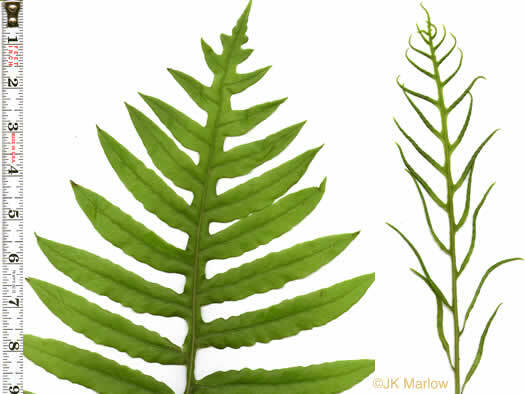 [Sterile frond on left, fertile on right.] 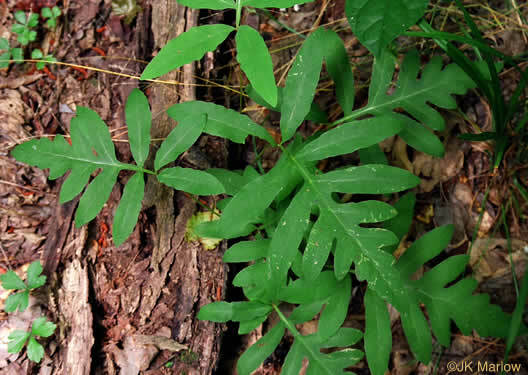 Leaves strongly dimorphic, per Vascular Flora of the Carolinas. 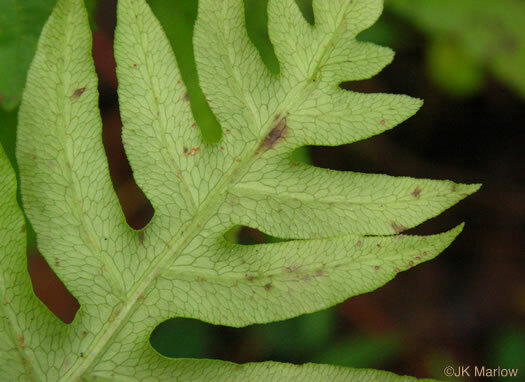 Prominent veins conspicuously netted, per Field Guide to the Ferns and Other Pteridophytes of Georgia.